It is definitely starting to feel like spring in Texas- I wore shorts twice this week. And Spring Break last week marked the official halfway point in our semester, meaning that it's all downhill from here. We're getting more and more invitations to senior events, which is definitely putting a strain on my wardrobe. 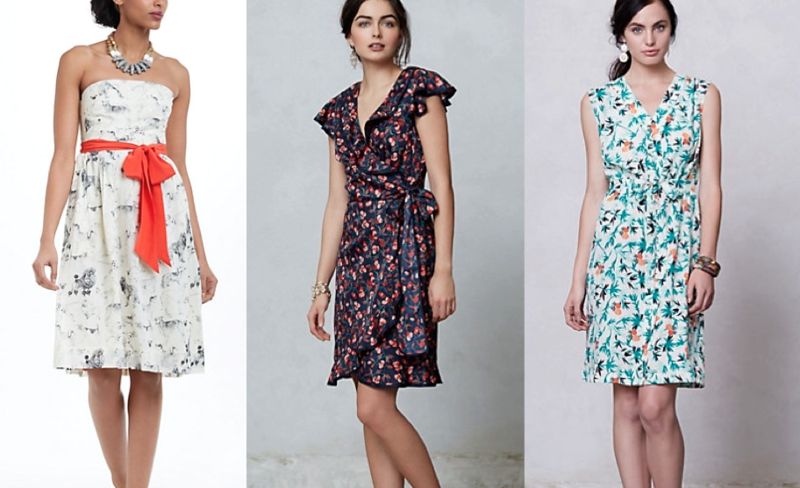 I love these dresses from Anthropologie, though. 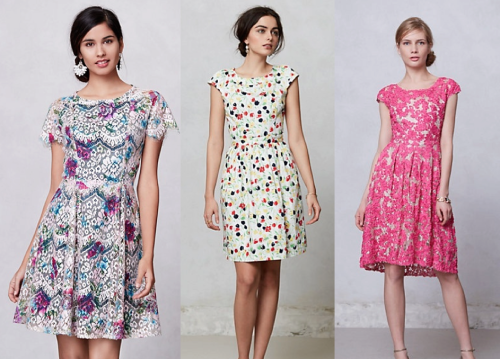 The bright colors and floral patterns seem perfect for spring, and I'd take any one of them (or all of them!) for the parties and dinners on my calendar for the rest of the semester.